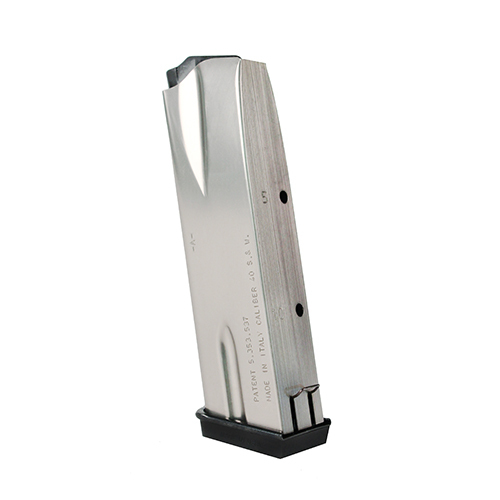 This magazine is compatible with the Browning Hi Power in 40 SW. It has a 10round capacity. This model has a black finish with a Pachmayr floorplate.